Get my free e-book called Self-Healing with EFT! It summarizes and makes accessible years of practice of EFT. If you’re looking for the tool to help jump-start your self-healing journey, this book will absolutely help you avoid the common pitfalls and will help you find the right track and stay on it. Don’t miss out! 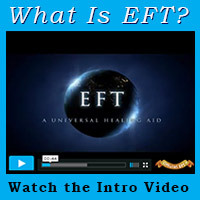 Leave me your name and email address to receive a copy of my Self-Healing with EFT e-book in your inbox. I hate spam as much as you do and I promise never to share your info.